Mikal was searching for her heritage. Her mother was adopted and wasn’t interested in finding her birth parents or really knowing her ethnic background. But little did she know, her search wouldn’t lead to her mother’s family. Instead, she would uncover something completely unexpected…on her father’s side. When Mikal uploaded her Autosomal DNA results from another other company into the FamilyTreeDNA database, she was shocked to get a match almost immediately. But the match didn’t make any sense to her. She had a close match, a half-sister, all the way across the world, in Vietnam. Then it hit her. 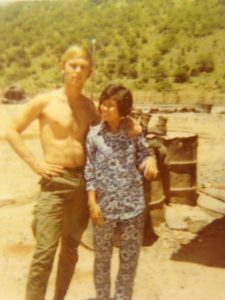 Jim and Tanti in Vietnam. He told Mikal and his wife about Tanti, and how one night spent on the base turned romantic. A few weeks later, he was sent back to America. He never had any inkling that she was pregnant. No one ever guessed that Mikal’s FamilyTreeDNA Story would include a new sister. But Jim had raised five daughters already, and now, he had a sixth. He decided he had to go to Vietnam and get her back, and try to make up for the almost five decades he’d missed. 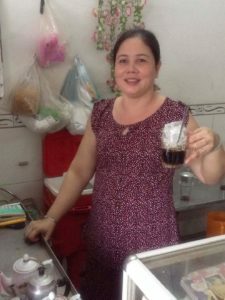 After months of speaking online, Linh’s visa was approved and she was allowed to join her new family in America. 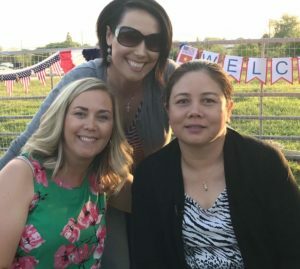 Linh is now living with her long-lost father and his wife, and she and her family have been embraced and welcomed with open arms. For more happy endings, explore Vanessa’s FamilyTreeDNA story.